Italian football authorities on Thursday agreed to postpone Serie A games involving Sampdoria and Genoa this weekend following the bridge collapse in the port city which killed dozens. Both Genoa clubs had requested that their opening games of the season be pushed back with Sampdoria due to host Fiorentina and Genoa playing at AC Milan on Sunday. "The President of the Lega Serie A, given the requests for postponement of their matches scheduled for Sunday, August 19 at 20.30 on the part of the clubs Sampdoria and Genoa as result of the tragedy which hit Genoa, and having received the assent of both Fiorentina and Milan, has decided on the postponement of the Sampdoria-Fiorentina and Milan-Genoa matches," Lega Serie A said in a statement. "The rescheduled dates for the two matches will be announced in the coming days, in compliance with the regulations in force." The league added that a minute's silence would be observed before all other matches this weekend with the season kicking off with champions Juventus playing at Chievo Verona on Saturday at 16:00 GMT. Lazio will host Napoli in Saturday's second Serie A match. All players will also wear black armbands in memory of the 38 victims. Sampdoria club president Massimo Ferrero had earlier requested that all matches in the championship be postponed. "I called the (club) presidents so we can say we don't have to play," Ferrero told RMC Sport. "I spoke to (Juventus manager Giuseppe] Marotta and he said Juventus won't play. It's Saturday, you can't play on the day of the funerals. "Samp, Genoa, Fiorentina and Milan will not play and we hope good sense will prevail. "I can't think of celebrating at a time like this, there are still bodies there under the rubble, I can't think of sending my lads on to the pitch." 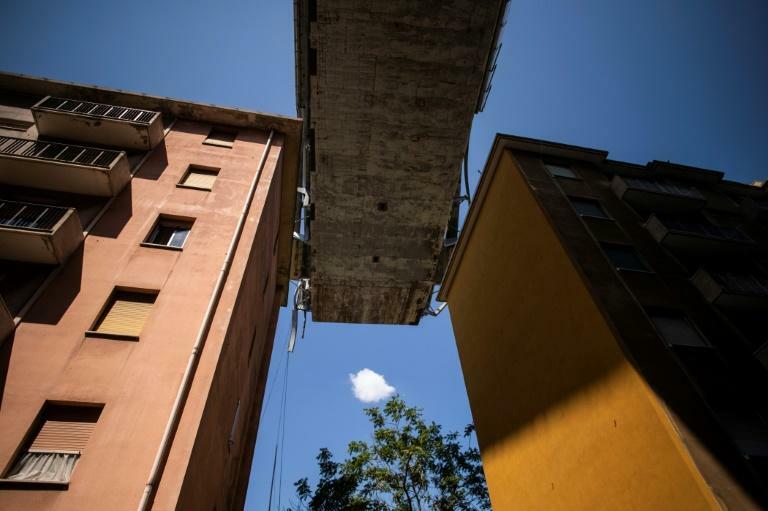 At least 38 people were killed and 15 injured with five in a serious condition after the Morandi bridge collapsed on Tuesday sending about 35 cars and several trucks plunging 45 metres (150 feet) on to railway tracks below. Italy will observe a day of national mourning on Saturday, the government has announced.